Interactive Voice Response system can be described as a computerized telephonic voice platform that migrates from human perplexed interactions which automates various customer services by lending them the required details and also providing much needed control to the end user. IVR provides the customers with a menu filled with options for the purpose of navigating the phone system in order to reach the appropriate department. Why Interactive Voice Response? It is cost-effective, 24/7 customer support providing service to huge volume of customers on first come first serve basis. IVR system gathers the required information about the customers during the call and provides them the requested details at the same time. It out-stands for its flexibility and adaptability and is very secure for your business. Such service is available at Isplchennai.com to help your business. We at Isplchennai provide a customized, professional and complete skilled technical support with extremely intelligent, flexible solution to access information in order to perform some task. Our skilled experts will provide an interactive voice menu that suits your requirements including the type of language. The IVR system provided will accept the incoming call from the customers and help to direct them to the right channel in accordance with their need. (ex: Press No1 for inquiry, Press 2 for sales, Press 3 for ordering, Press 4 for to have converse with an executive etc.). With our professional voice recording service, we can guarantee you that your customers are getting a satisfying and quality experience when they make a contact at any time. 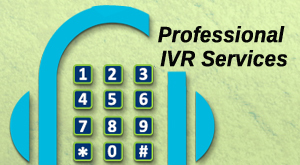 Mail us at any time to get our professional IVR services.